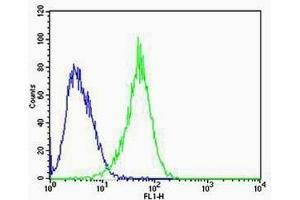 Flow cytometric analysis of U-87 MG cells using RAC1 antibody (green) and an isotype control of mouse IgG2b (blue); Ab was diluted at 1:100 dilution. 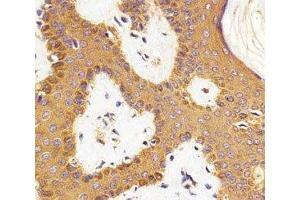 Immunohistochemical analysis of paraffin-embedded human skin section using RAC1 antibody at 1:25 dilution. 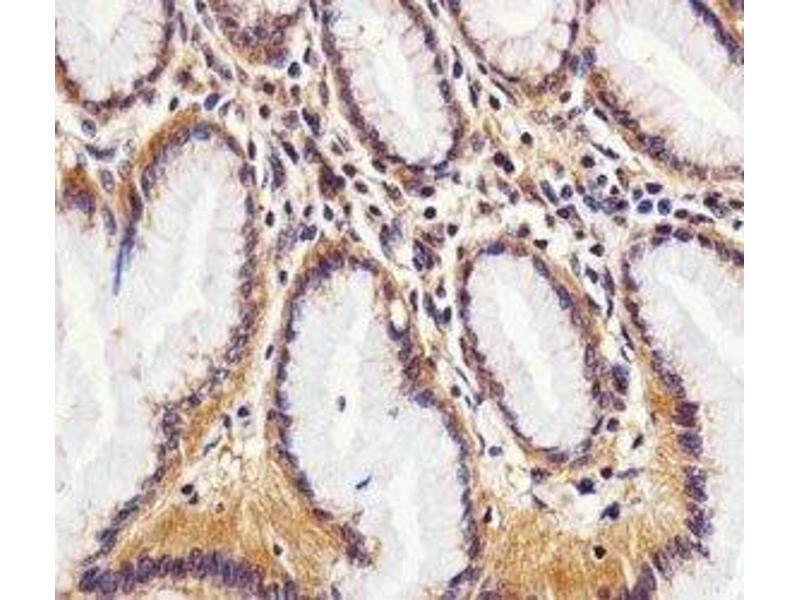 Immunohistochemical analysis of paraffin-embedded human stomach section using RAC1 antibody at 1:25 dilution. Western blot analysis of lysate from (1) human A431, (2) mouse NIH3T3, (3) rat C6 cell line using RAC1 antibody at 1:1000. 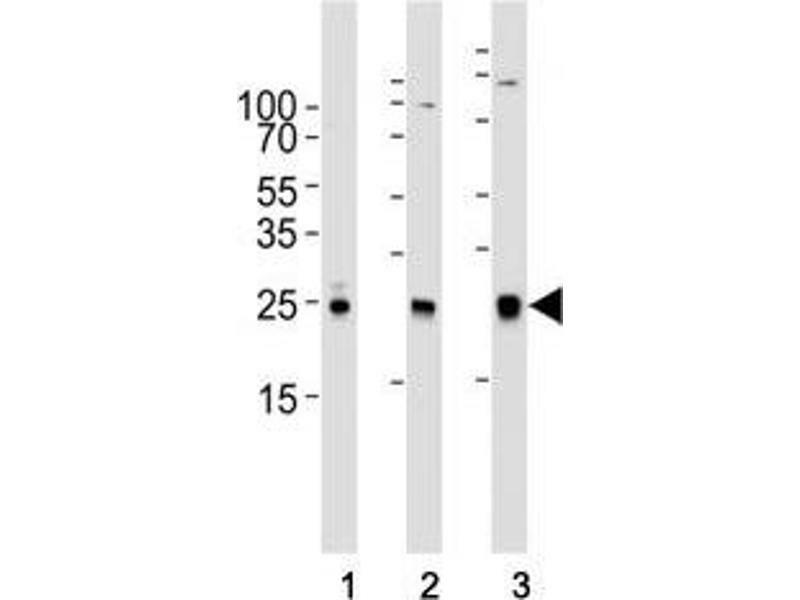 Immunogène This RAC1 antibody was produced from a mouse immunized with a KLH conjugated synthetic peptide from the human protein. Sujet Plasma membrane-associated small GTPase which cycles between active GTP-bound and inactive GDP-bound states. In its active state, binds to a variety of effector proteins to regulate cellular responses such as secretory processes, phagocytosis of apoptotic cells, epithelial cell polarization and growth-factor induced formation of membrane ruffles. 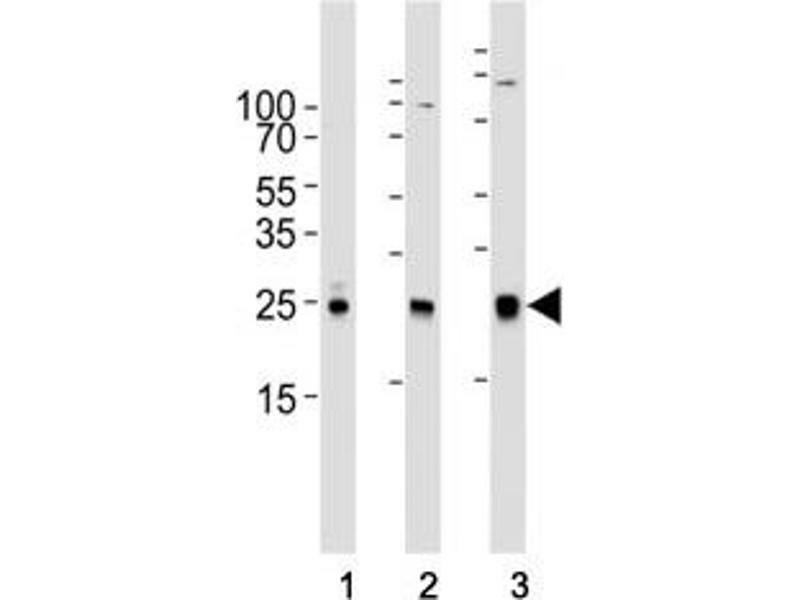 Rac1 p21/rho GDI heterodimer is the active component of the cytosolic factor sigma 1, which is involved in stimulation of the NADPH oxidase activity in macrophages. Essential for the SPATA13-mediated regulation of cell migration and adhesion assembly and disassembly. Stimulates PKN2 kinase activity. In concert with RAB7A, plays a role in regulating the formation of RBs (ruffled borders) in osteoclasts. 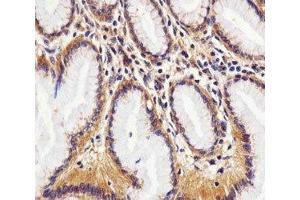 In glioma cells, promotes cell migration and invasion. 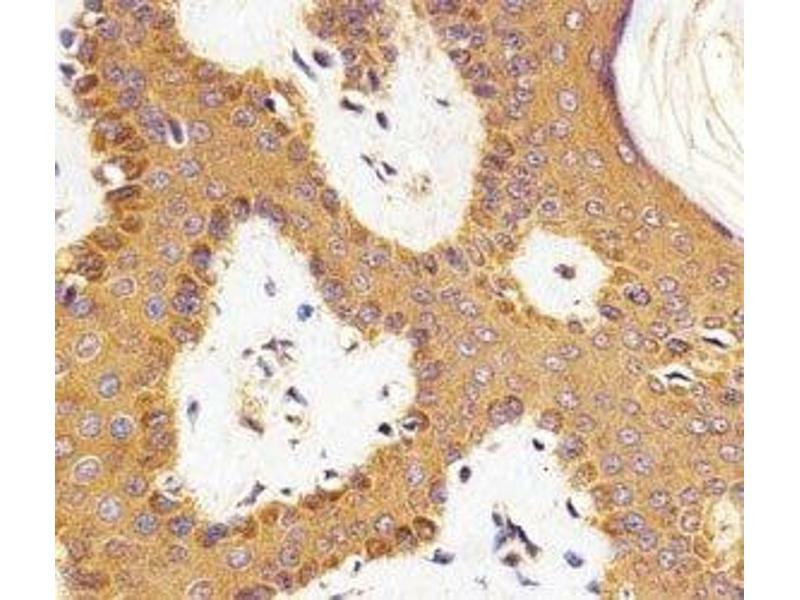 In podocytes, promotes nuclear shuttling of NR3C2, this modulation is required for a proper kidney functioning. 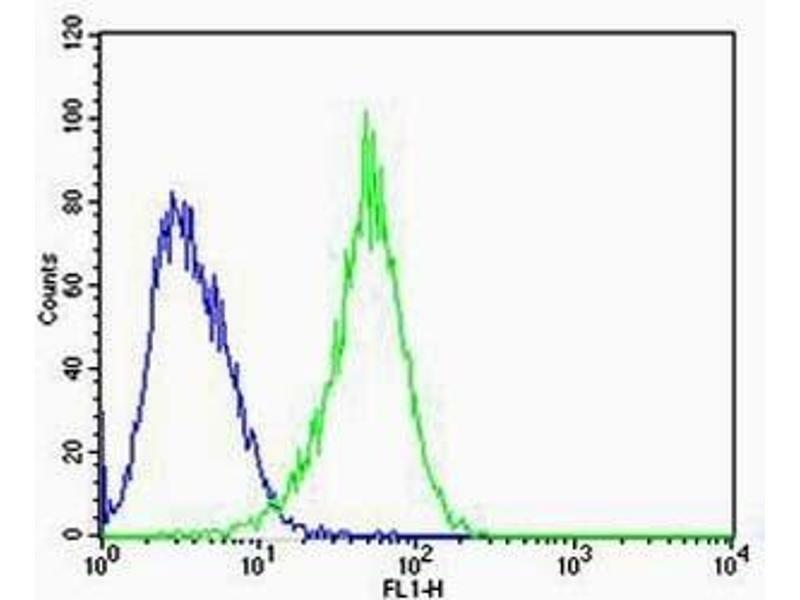 Required for atypical chemokine receptor ACKR2-induced LIMK1-PAK1-dependent phosphorylation of cofilin (CFL1) and for up-regulation of ACKR2 from endosomal compartment to cell membrane, increasing its efficiency in chemokine uptake and degradation. In synapses, seems to mediate the regulation of F-actin cluster formation performed by SHANK3. 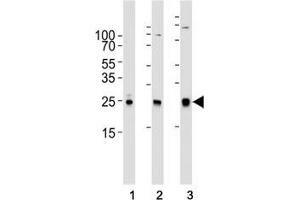 Stockage commentaire Aliquot the RAC1 antibody and store frozen at -20°C or colder. Avoid repeated freeze-thaw cycles.